Young blonde woman lying on the grass. 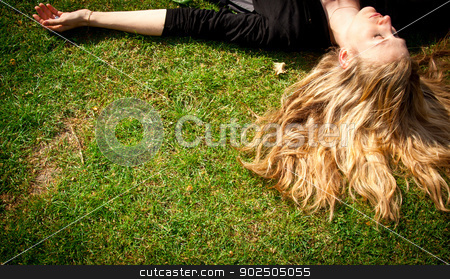 Photo of Young blonde woman lying on the grass. Young woman with long blond hair lying on the grass sleeping or thinking.